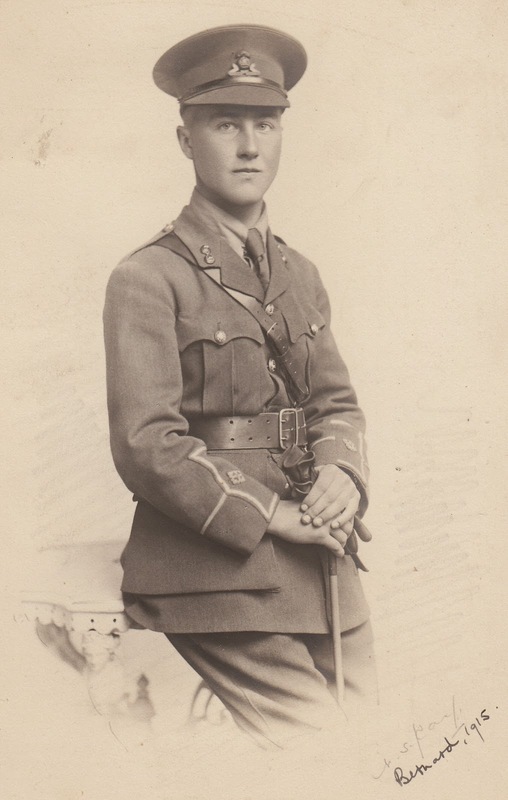 This officer is a Second Lieutenant in the Lancashire Fusiliers in 1915. I do not know who it is, but it is likely that he was a family friend or cousin/nephew etc. of my ancestors. The photo was in my grandmother’s collection, and my grandmother and her parents came from Manchester, where they were connected with family names Wright, Gould, Atherton and of course others for whom I do not have family names. I have this good quality photo, but no other knowledge of him was ever passed to me from my grandmother or mother. It suggests, but not conclusively, that he may have died in 1914-18. Research I have carried out show that the following Lancashire Fusilier Lieutenants had the given name ‘Bernard’, and there is a reasonable possibility that this Bernard is one of them. 3 of them have strong Manchester connections from their birth registration districts. I have discovered that we share the same ancestry which goes back to Robert Harlow of Ashbourne, (c.1779-1828), my great-great-great-grandfather, probably the great-great-grandfather of Bernard Harold Hartley. His mother was born Eleanor Kinch Harlow, circa 1866. In view of this link, and other links that now fall into place, in particular photographs in my grandmother's album of a house named 'Ashleigh' at 134 Stockport Road, Marple, where census returns show Bernard to have been resident at the 1901 census, it seems it is almost certain that this is the Bernard in the photograph, and explains why the photograph of Bernard was in my grandmother's papers, as they were distant cousins. I also have other miscellaneous material relating to the Harlow family retained by my grandmother.